It is amazing how modern devices make our lives easier. For example, the process of cleaning your house can be facilitated a lot. Usually, you need to drag a vacuum cleaner around trying to reach every corner without missing a single spot. iRobot offers high-quality smart robot cleaners that are can work automatically. Their robots become more and more popular. If you are interesting in modern smart vacuum cleaners, but you do not know which one to choose, then you should check this review where we compare Roomba 650 and 770. Both models are great and they complete their tasks flawlessly. 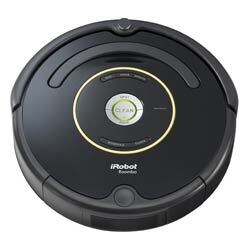 Roomba 650 and 770 are great models from a world-known company iRobot. Modern smart vacuum cleaners have all functions that are able to help the device clean every corner of your home, no matter how complex its layout is. A good thing about these devices is that their height lets them go under sofas, beds and clean those spots that are difficult to reach. Everyone knows that "Safety first" and the iRobot company does as well. Modern smart vacuum cleaners are completely safe for people, animals and even your furniture and walls. Such devices have many sensors that help them "see". When a robot cleaner "sees" an obstacle, it finds a way to get around it and continue cleaning. You can be sure that the smart cleaner will not hit a wall or a piece of furniture. The Roomba 650 and 770 may be not the latest models, but they are still able to help you and clean your home, no matter if you live in a house or an apartment. This Roomba 650 vs 770 comparisons should be very helpful for you. The first thing you will notice is its modern design with sharp lines. It is very attractive and it looks a bit futuristic. Battery life is 120 minutes. The robot will clean your house for 2 hours straight without going back to the recharging station. Suction power is 1000 pa. It is enough to clean any kind of surface and remove dust or even relatively big fragments. The using area is 800 square feet. It is able to cover large areas. Carpet cleaning. The device can clean your carpet. Usually, this task requires high suction power. A display provides you with useful information. Virtual wall. You can limit the robot and it will not go somewhere you do not want. Time scheduling function. You can create a schedule and it will work automatically. No voice control. In order to control the robot you need to come to it. No intensive cleaning mode. It would be very helpful if you want to get super cleaning. No remote control. You need to come to the device in order to control it. No Wi-Fi control. It would be great to be able to control the robot with your phone or tablet. Charging time is quite big. 4-5 hours is quite long and if 2 hours will not be enough for the device to clean your home, then the cleaning process will become very long. 4-5 hours of charging plus the time necessary to clean the rest part of your home. Charging time may take some time, but it can be partially compensated by the battery life, which is 2 hours. It has air filters that will clean the air that comes out and it will be dust free. Moreover, it has a display that can provide you with important information. Overall, it is a very good device that can facilitate the process of cleaning and make it a bit faster. Roomba 770 is a great modern smart vacuum cleaner that will clean your home. It works as well as it looks. It is able to clean any kind of surface. Just like any other modern vacuum cleaner it is completely safe for people and animals. Battery life is 90 minutes. This robot is able to clean your house for one hour 30 minutes straight. It is enough to clean a relatively large area without recharging. The noise level is 60 db. It is quite low. You can watch a TV or listen to music you like without any problems. This level of noise will never cause a headache. Remote control. You do not need to come to the device and press any buttons to make it work. You have a remote control. You can even be in another room and start the cleaning. It is useful if you want to introduce any changes when the robot already works, since you do not need to search for it and press any buttons that are on the robot cleaner. Virtual wall. This is right what you need if you do not want to let this cleaner go somewhere. Virtual walls help to introduce certain limits for this device. No Wi-Fi. It is not crucial, but it would make controlling even easier. It this case, you would be able to control the device with your phone or tablet. No display that can provide you with important information. No voice control. It can be partially compensated by a remote control. Battery life is 90 minutes. Sometimes, it may be not enough to clean your home. Roomba 770 is a great smart vacuum cleaner that is able to clean every corner of your home. It looks attractive and it works great, what else do you need? If you live in a big house, it may be not enough to clean everything. In this case, you will have to wait for the robot to recharge and continue cleaning. However, 90 minutes is enough to clean a large area. Roomba 650 or 770? Which one is the winner? iRobot did their best to provide you with a great smart vacuum cleaner. Both models are not the very last models with all modern features, but that is not a disadvantage. We will pay attention to the most important ones. Roomba 650 is able to work for 120 minutes, while Roomba 770 will need to recharge its battery after 90 minutes of work. 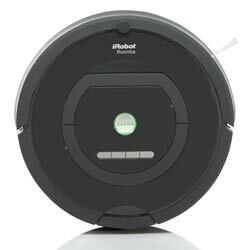 If you live in a large house, then you should consider buying Roomba 650. However, Roomba 770 has a remote control, which means you do not even need to come to the device in order to make it work or change cleaning mode. Other differences are not that critical. Overall, these two devices are a great option for people who do not want to waste their time on cleaning their homes. If there were a way to avoid something you do not want to do, why would you miss it? These vacuum cleaners are not very expensive, but there is still a price difference between them and that can help you to choose the model. The price difference is not very big. It is around $70 (Roomba 770 is more expensive). We are sure you will find our articles useful. Our reviews are great both for people who look for their first robot cleaner and for those, who need a new model with different functions that can assure 100% of cleaning.